The Unbecoming of Mara Dyer - Lis Les Livres- Read Books! 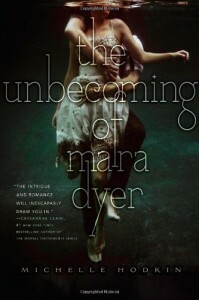 http://lisleslivres.blogspot.com/2012/10/review-unbecoming-of-mara-dyer-by.htmlThis has to be one of my favorite books. There is somewhat of a supernatural element that is still vague even after finishing, but what drives the story is the personality of the characters in my opinion. Mara is a girl who knows how to use sarcasm. At first, she doesn't want to let the infamous Noah Shaw into her life. While they're still getting to know each other, they challenge is other. Their banters are hysterical, each rebuttal more witty than the next. It's obvious that Michelle Hodkin is a very intelligent person with an extensive vocabulary. I love these characters, love their chemistry. I usually do not like the main female protagonists in the books that I read. I'm always wondering why the flawless guy always falls for her when there's so many things about her that irk me. But Mara's different. 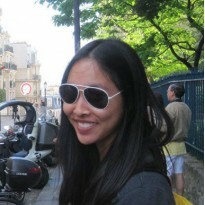 She has the wit to stand on her own, yet is very kind and caring to the people she loves. Noah is the guy who has a reputation for being a bad boy, probably seen as the rich, stupid, arrogant guy by his peers. He puts up this facade, but underneath it, he is a boy that every girl would fall for-kind, smart, funny, beautiful. And he's British! If you don't know, I love accents.The story line itself can get cloudy, especially at the end, but keep in mind that it is part of a series so all should be explained. Once you start reading, I am confident that you won't even mind the uncertainty of the supernatural aspects because the characterization was done that well. I haven't read the next book, but I'm very excited to. I just don't know when I'll have the time to.Would I suggest to a friend? READ IT NOW!! !